From 3 months to 3 years, children are at their earliest and most impressionable years. These first three years are the most important in the creation of your child’s emotional base, intelligence, social skills, curiosity, joy in learning and problem solving. Our peaceful and positive environment encourages your young child to feel safe, cared for and ‘at home’. 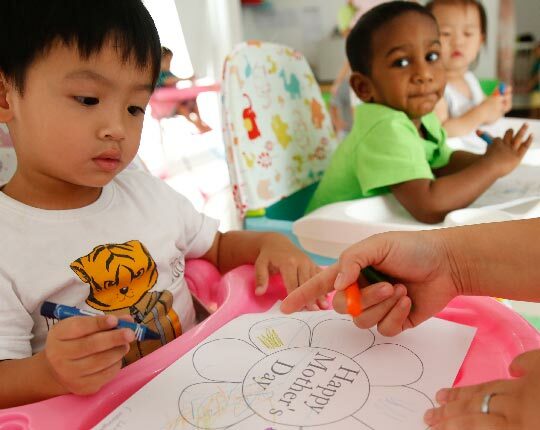 Our daycare helps them develop a positive self- image, excellent social skills, concentration and creativity, while guiding their physical and intellectual development. Materials, including selected toys, that aids in cognitive learning.